Our Dobermans puppies are raised in our Wisconsin home and handled from day 1 by our family. We strive to combine correct conformation with excellent working ability, temperament, and health. We health test all our adults prior to being bred so we are only are producing the best genetics; we focus on “quality not quantity” Doberman pinschers. 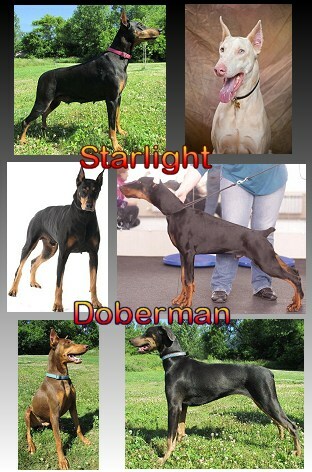 We have US, Russian and German lines, our Doberman are bred for the FCI standard. Our puppies are sold with a written guarantee and lifetime assistance and are up to date on shots/worming and will be sent home with a starter puppy packet.